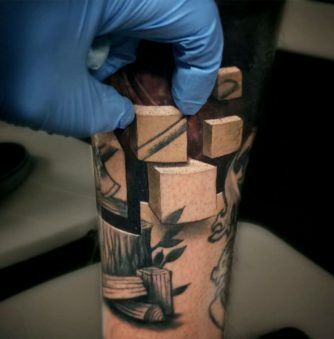 Polish artist Kamil Czapiga fills in most of his tattoos with a stippling technique, which is a time-consuming process and also painful for the client. 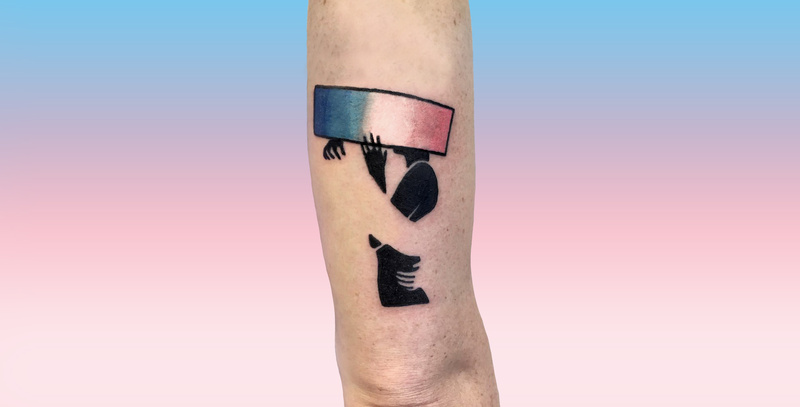 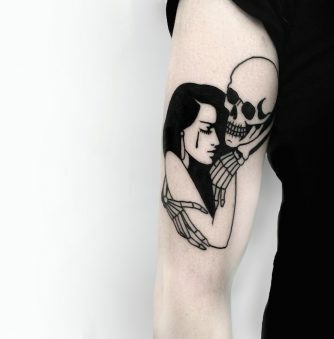 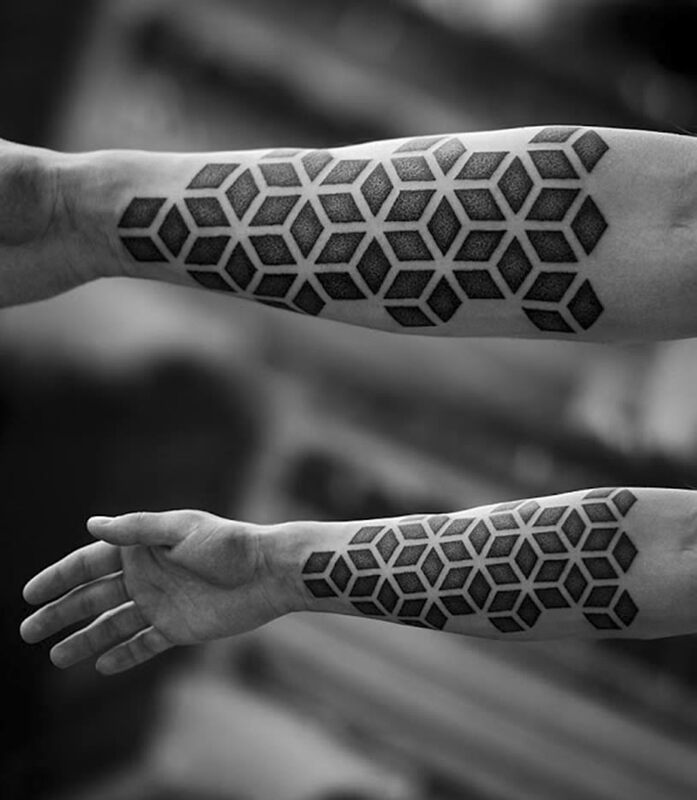 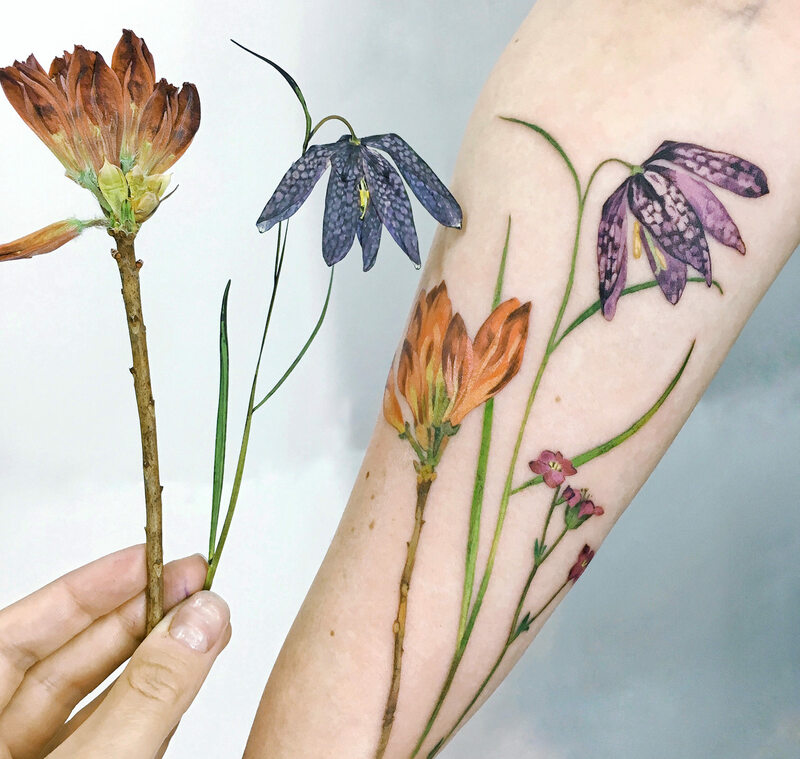 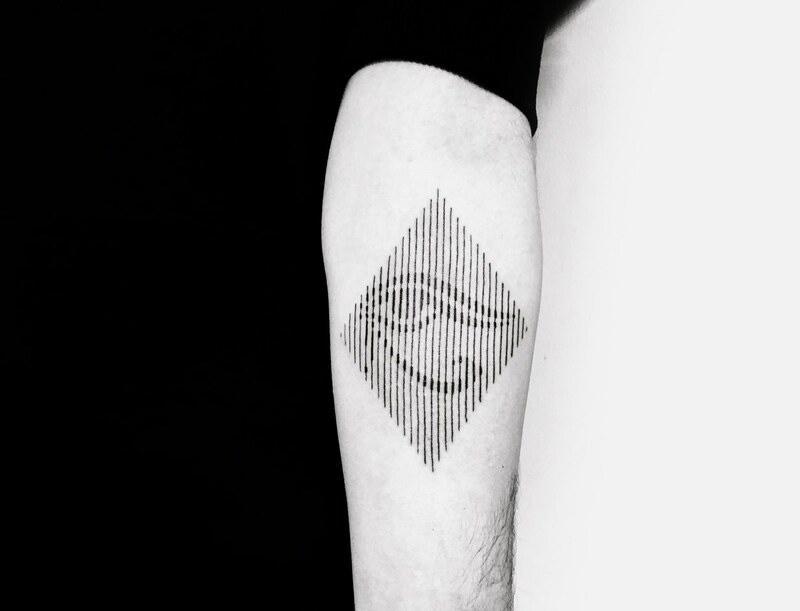 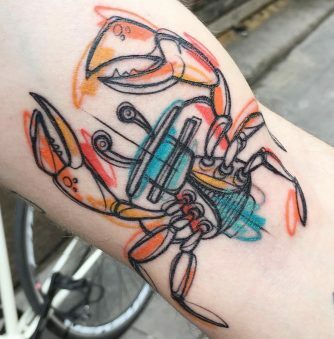 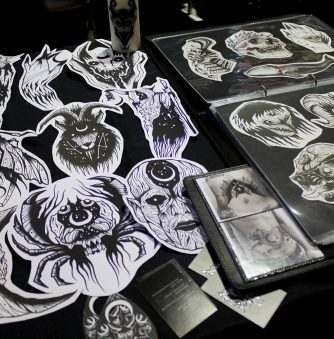 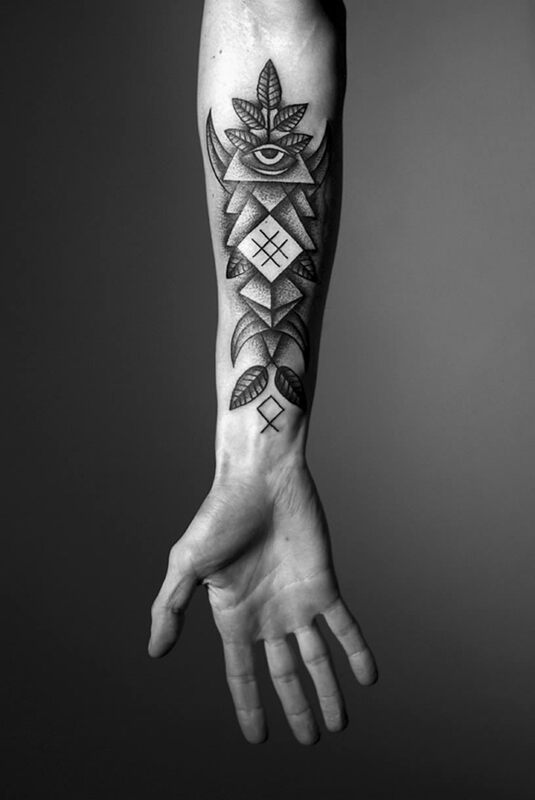 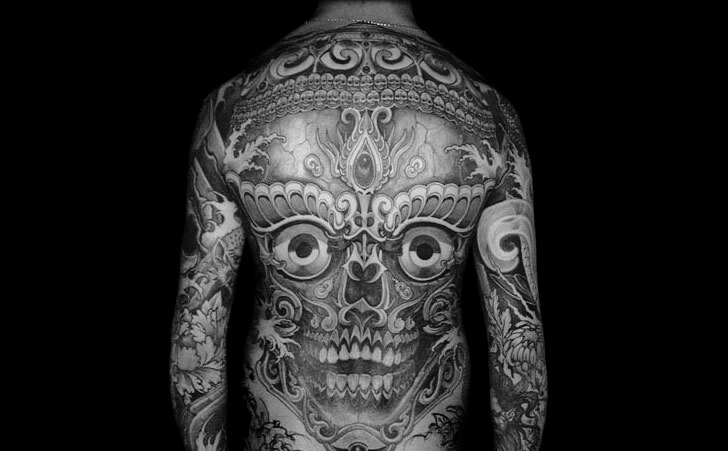 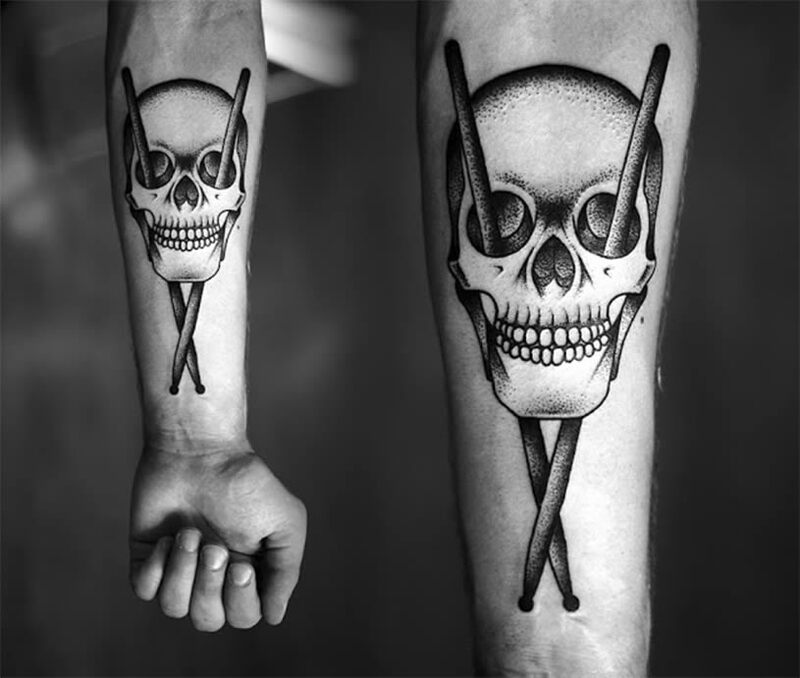 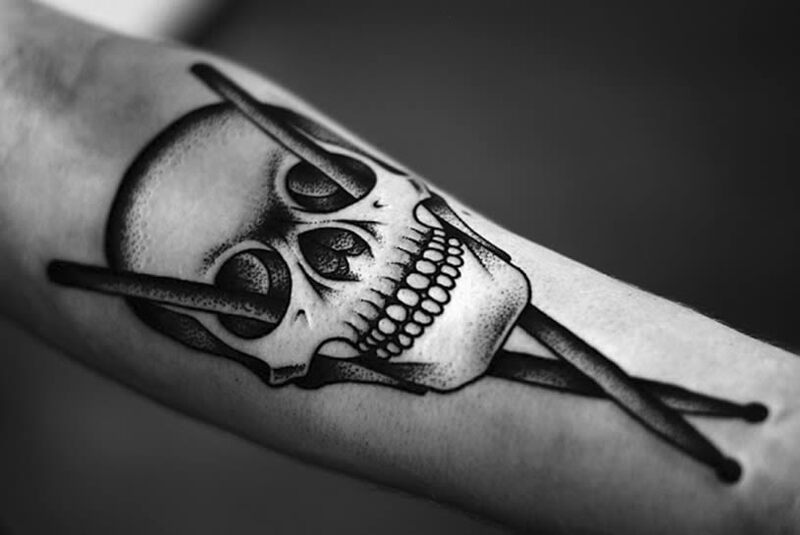 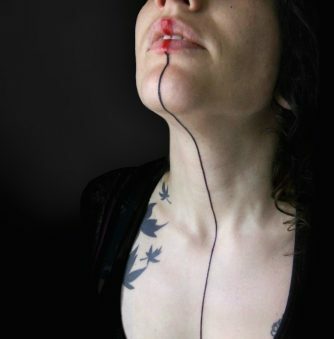 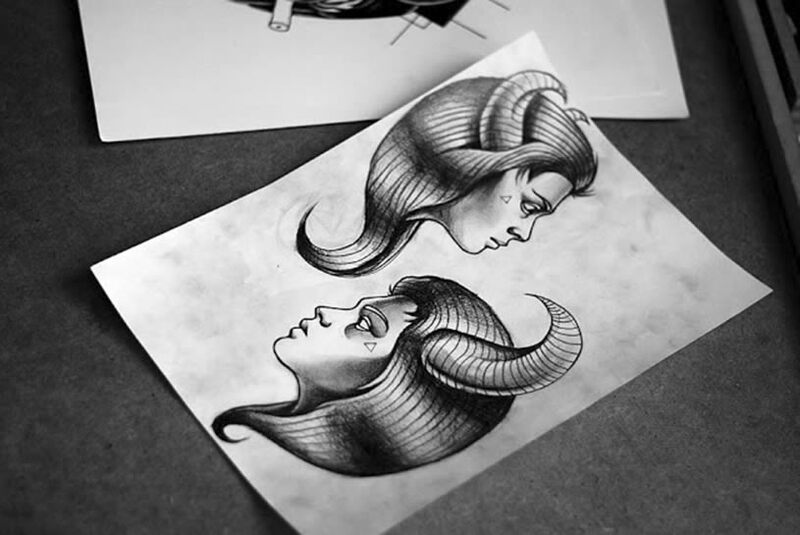 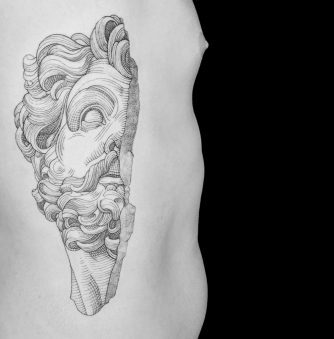 Czapiga inks classic tattoo images but with a new twist, i.e. 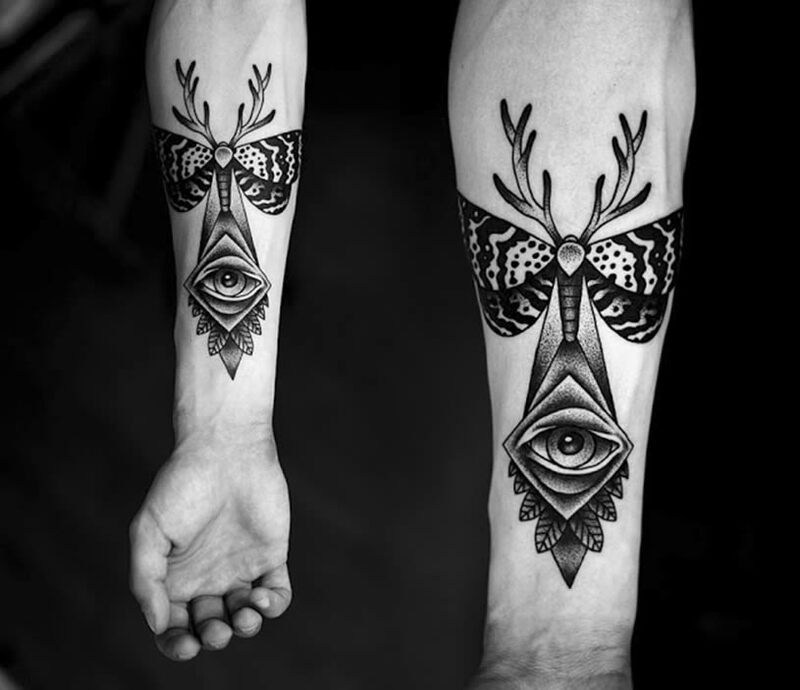 the skull now includes drumsticks and the butterfly adds on deer antlers and the eye of providence.